Are you struggling with getting your personal finances in order? Do you want to learn how to create a family budget that works for you and not against you? Would you like to be saving money and investing more? 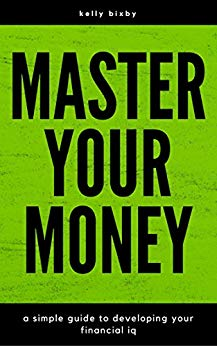 What is your credit score and do you know the steps you should take in order to repair it if it's low?Listen, money and personal finances are probably one of the biggest sources of stress and anxiety in today's world. And if you're struggling to pay your bills, then you'll know exactly what I mean! Because the truth is this: Every person must at some stage master this subject in order to have a happy and fulfilling life. Which is why I've written this book...You Will Learn:How To Master Your MoneyThe simple 3 step formula for getting ahead in the financial game.13 easy strategies for reducing expenses and saving moneyWhy saving money is like exercise and 5 reasons why you should get into the saving habit.How To Draw Up A Financial Freedom PlanHow to lower overspending and your debt!3 aspects which determine your financial mind-set.The #1 reason why people get into debt.How To Live A Frugal Life And Save MoneyLittle known ways to reduce your heating and cooling costs.How to cut out extra charges on your cell phone11 sources of free Wi-Fi you've probably never thought of before.How To Repair Your CreditWhat a "Credit Score" is...and...how having a high one can save you money.How a great credit score can actually EARN you money.6 things you should do right now to keep your credit score high.And much, much more!Take action now and overcome your personal finance problems and repair and improve your financial situation by downloading this book.